Floral and laces before the party season. Pastel piece with a touch of edginess help channel an elegantly chic vibe. I died when I first saw these lace shorts. Who doesn't like darling shorts that's easiest to pull off? and they are the most versatile and comfortable shorts we've come across. Got this pair from Capriccio ko. U look adorable, snapshots are lovely! Nice post, thank you for share! Really nice shorts! I love lace. Your lace shorts are adorable! And I love the colour of your top.. A really great outfit! Love this outfit!You're beautiful dear! Pretty! I love the lacey shorts! Btw, anything on your christmas list? 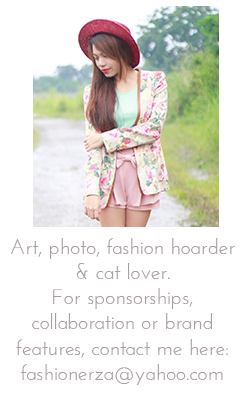 Ive tagged you..feel free to view @ http://mariaswanderland.blogspot.com/2012/12/all-i-want-for-christmas.html and share your wishlist too! Dont forget to send me the link so i can see it too. Super cute outfit! lovin the shoes! Now I start following you via Bloglovin! This look is amazing! I adore your shoes and those shorts look fantastic. Wish I could wear shorts where I am now!! Amazing look, dear! I love those pants! i love those shoes. you look so pretty. fantastic colors!! followed <3 thanks a lot! Your blog is so amazing! Love your style! great style! adorable shorts:) Could i have them!! followin' you of course! followin' you! will be glad if you follow me too! fun outfit, definitely photoshoot materials! Wow, your blog is so beautiful. It's amazing! I love reading all your posts there great. Sorry for taking so long to follow back but I've done so now! Such a cute outfit! :) Thanks for the comment! I followed you, would you like to follow me? Great outfit, I love the shorts! Great shorts and boots! Check out my blog and follow eachother maybe? Buy the way, I love your shorts! Thank you for your lovely comment on my blog! I see the white cat in your picture, you are right, he's the husband type haha. Love this outfit by the way, the shoes are amazing! Follow you back, great blog!! I just discovered your blog and looove it!! You have a new stalker! love love love this outfit! you have amazing style, your blog is awesome! very cute lace outfit! amazing boots! I totally forgotten to write my gazillion complements on your blog and personal style. You look perfect! Adorable blog... You look great! Now following! Hi, I like your blog, would we follow us each other via GFC? I follow you right now.